High gloss has been one of the most popular finishes in the recent years’ furniture collections. Here, it is not always necessary to look for the base that features the same color. For example, you can combine white glass top coffee table surface with black or taupe base – the arrangement will look very memorable. 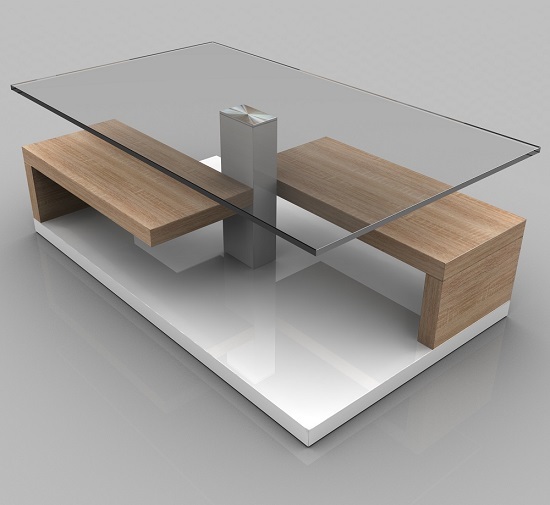 The combination of white glass surface and wooden base is another incredibly stylish example that is an amazing fit for modern and mixed interiors. It is possible to combine tables like these with other wooden units; plus, the whole idea of combining traditional and modern production materials offers a very stylish decoration solution. 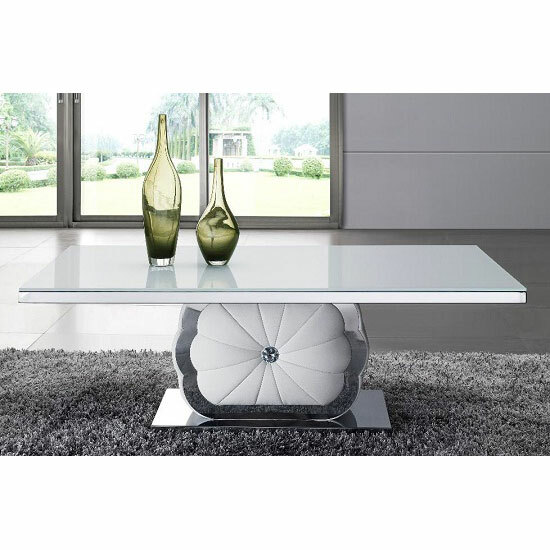 If you are looking for something modern – hi-techy even – go with a white glass top coffee table on a steel base. A lot of these models will look slightly aggressive, but if your interior already features a lot of glass and chrome, this is the best option you should consider for creating a consistent interior decoration picture. Stone or marble base will create a very rich and elegant atmosphere in any living room. There is just one thing, though – you will need at least one more unit from stone range collection in your room, and those usually require a lot of space. The most impressive decorative approaches are based on the combinations of different materials, and your base can also have more than one. For example, you can go with a combination of gloss and steel, or wood and high gloss. 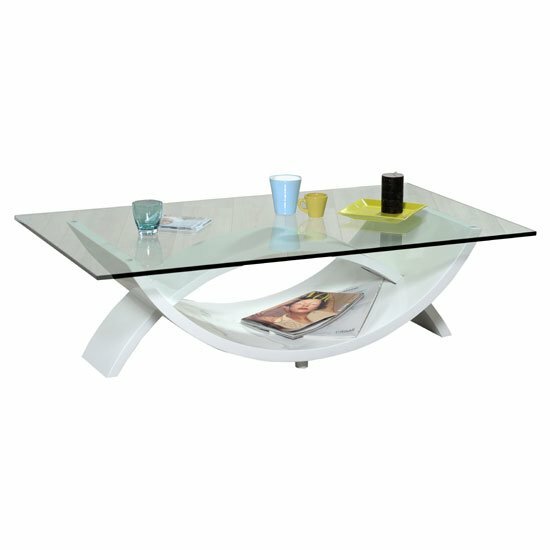 If you would like to have as many options as possible while choosing your white glass top coffee table, visit Furniture in Fashion website. This is one of the biggest stores in the UK, and their selection is something worth checking out. In addition, the company manages to keep their pricing policy affordable and delivery times short. This is, in fact, one of the biggest advantages of shopping with a local site rather than with European one. If the company operates outside of your country, shipment may require months. This company, however, can ensure three days delivery when it comes to small purchases; five – for medium sized orders; and ten – for bulky ones. And, of course, visiting a showroom is another important perk that is only possible while shopping with the local stores.